Three years ago in late March, the most imposing features on the ITER platform were the workshops for the cryostat (left) and the poloidal field coils (right)—vast facilities where the manufacturing and/or assembly of some of ITER's largest components was set to begin. Construction of the Assembly Hall had just begun, and the first steel pillars had been installed on opposite sides of the building's concrete floor slab. 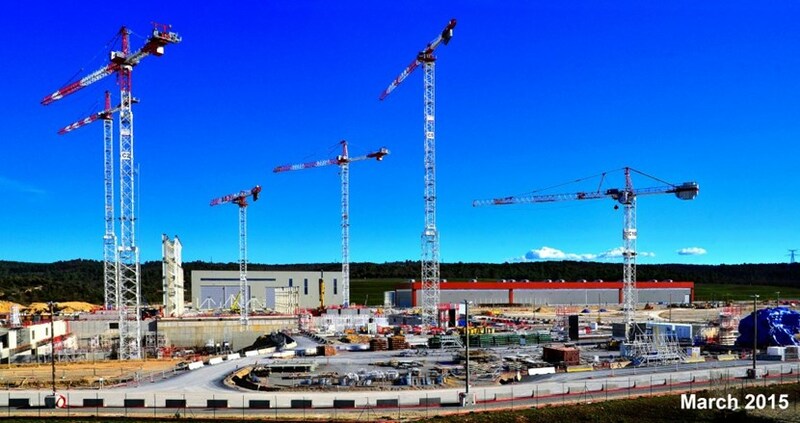 In the 90 x 130 metre area reserved for the Tokamak Complex, nothing yet had emerged above the platform level—work was concentrated at the level of the B2 slab, where preparatory works were underway for the construction of the bioshield. Three years later the difference is striking. In this picture taken last week from the same angle, the 60-metre-tall Assembly Hall and its poster of the ITER Tokamak are a towering presence that completely hides the Cryostat Workshop from view. To the right, the Poloidal Field Coils Winding Facility is masked by a cluster of plant buildings. And in the area of the Tokamak Complex, some of the walls now stand four storeys above platform level and the massive 30-metre-tall bioshield has been finalized. However impressive the photo comparison may be, a large part of the progress that ITER has achieved since 2015 cannot be detected in these snapshots. Hundreds of components, both large and small, have been manufactured and safely delivered to the construction site. Many more—among them some of the largest and most challenging ITER components—are in various stages of advanced fabrication or factory acceptance testing. 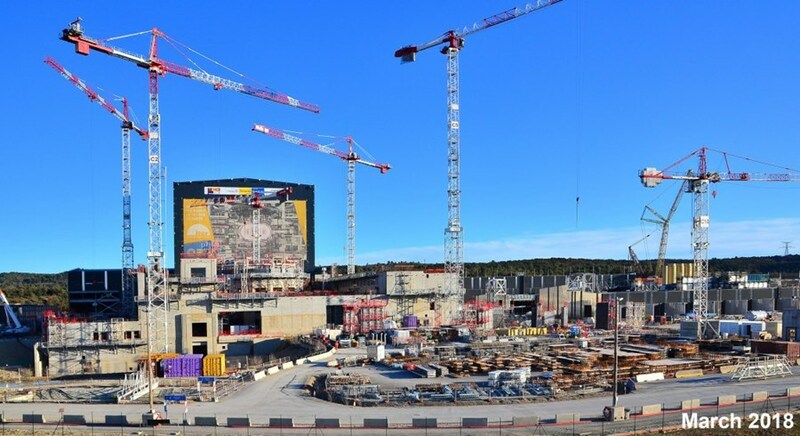 According to the stringent metrics that monitor project performance ITER has now completed 53.7% of the total work scope on the road to First Plasma (calculated on the base of all design, construction, manufacturing, delivery, assembly, installation, and commissioning activities).